I was catching up with my good friend Scott, an IT integrator for Law Firms and CPA’s in the Chicago area, about whats new in our lives. He’s been busy for the last 2 years migrating most of his clients from Windows XP to 7. I was telling him about some of the fun things I’ve been learning about in Virtualization. I told him about Horizon View and how we virtualized our entire production server environment (24 servers) on just 2 Hosts. His first reaction was “That all sounds great, but most Small Businesses can’t afford that kind of stuff like SAN’s, Hosts or VDI”. I tend to agree with him, some companies just can’t see the value in virtualizing their servers or workstations because of the high upfront costs. But it got me thinking that there are free and low cost options that Small Businesses can take to make things easier, consolidate aging hardware and prepare for the next big wave of upgrades. So I decided to throw together a list of free software that “could” help SMB’s that just can’t afford the latest and greatest but still benefit from virtualization. 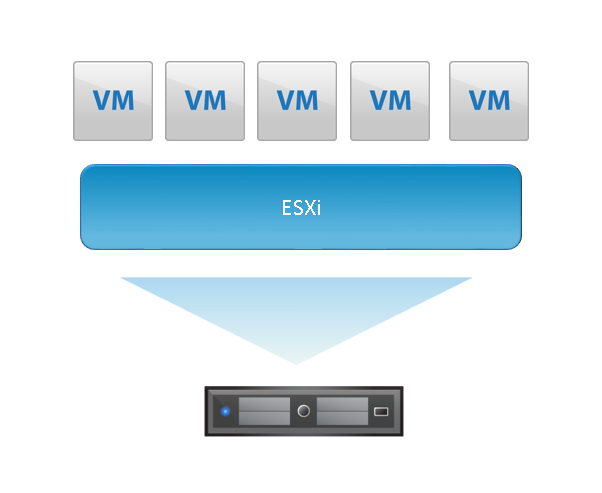 ESXi is the foundation of any virtual server environment. VMware has been releasing ESXi as a free hypervisor for the last few years. It is a great way to start the journey into virtualization. A typical SMB company has a few servers that just sits there idle 50-70% of the time. Why not reduce the amount of wasted server resources (chassis) and consolidate those server instances onto one or two hosts (existing physical servers). Now of course there are some downsides to just running a bare metal hypervisor, there is no redundancy, manual interaction on a per host basis, as well as no intelligence because of a vital piece = vCenter! But that shouldn’t stop people from starting down that road! Get started with virtualization by downloading and trying it for yourself! 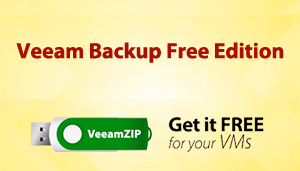 Veeam is an industry leader in virtualization backup software. They have a free version to use forever and it works great! Although many would say it shouldn’t be used as a primary backup, it is a great ad-hoc utility to backup Full Virtual Machines. Again if you are just getting started this is a great way to test, evaluate and use in small production environments. Veeam One is a management suite for the VM’s on your hosts. There are no limitations to the number of VM’s, Hosts or Clusters. Being a free software and complimenting ESXi virtual machines is a great way to be proactive as opposed to reactive to problems that come up in your job. Veeam One comes with over 200 pre-defined alarms and notifications to help you understand problems before they happen. There are some logging and archival limitations to the system. But free is free and you can’t beat that! Syslog’s are becoming a necessity in determining problems or submitting support cases with hardware/software vendors. It would be awesome to collect all of those logs into one place right? 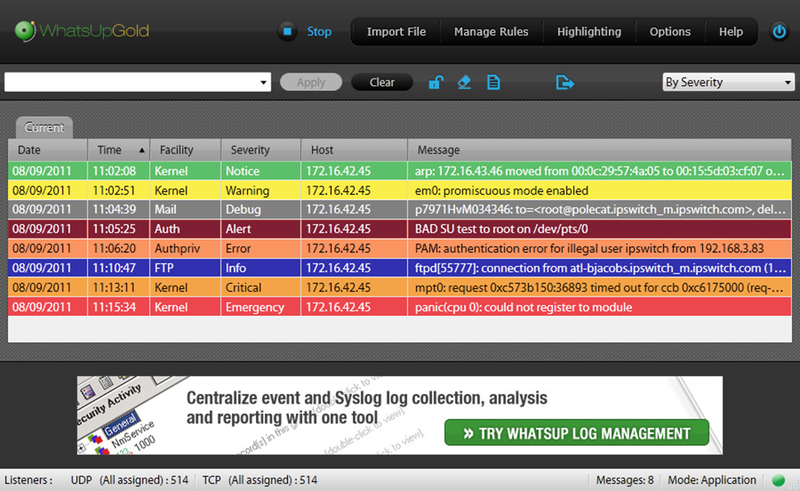 What’sUpGold has a free syslog server that you can use in your environment. 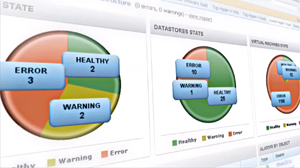 It is very easy to setup and reduces the time to collect system logs when trying to resolve a problem. Virtual appliances are servers that run on Linux flavors that are free alternatives to some Windows only software sets. You can run a file and print servers, LDAP, AD PDC host, Torrent, Help Desk and many more applications like them on free self contained virtual machines. TurnkeyLinux.org is a great place to start. VMware has some great vApps that you can demo as well on the Solutions Exchange site too. We run several virtual appliances that don’t take up much space and resources that do the job well. There are many free and great products out there that I haven’t mentioned. Kendrick Coleman has a massive list of free vSphere related tools that you can check out. I have just scratched the surface! If there are others that I didn’t include, please feel free to mention them in the comments section below.